I have seen so many interns come and go working here at the bakery. I love that I am friends with most of them on Facebook so I can see what is going on in their lives after RBI Cakes. So I do believe our congratulations are in order! 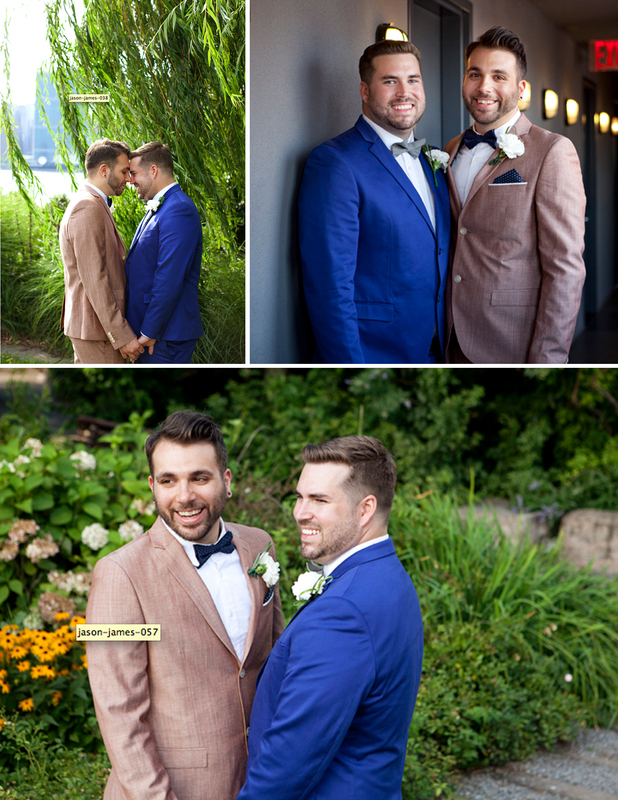 Our former intern Jason married his partner James over the weekend in Astoria, NY. All of us here at the bakery wish you many years of happiness! 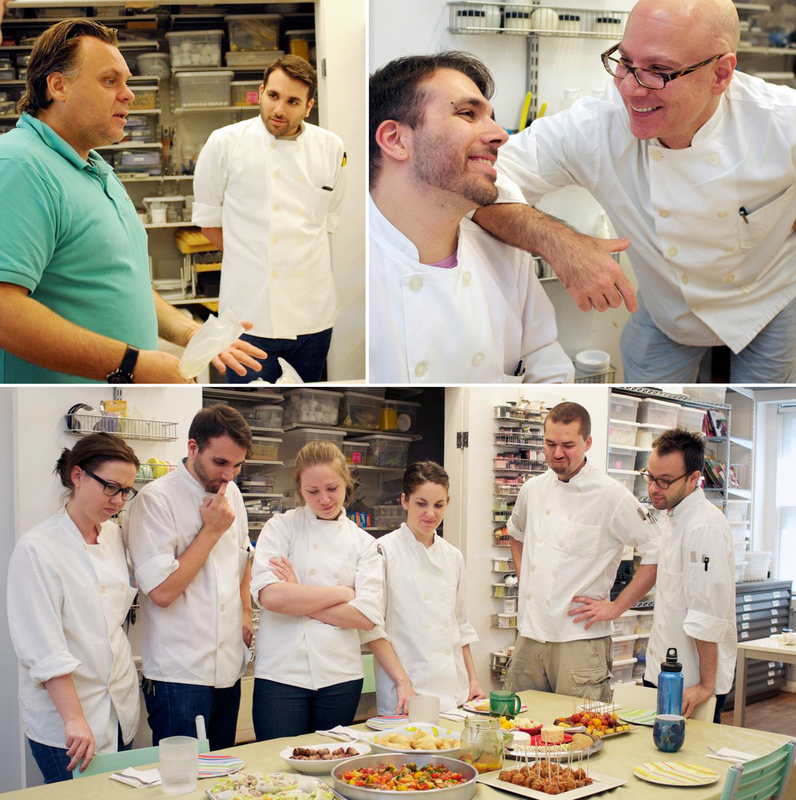 Top left photo: Jay is listening intently to Chef Francois Payard talking about piping techniques. Top right photo: Ron and Jay at the bakery. Bottom photo: Jay and the RBI Cakes crew looking at Jay’s pot luck lunch on his last day at the bakery. Such a handsome couple! I feel old writing this but, because i work in the restaurant industry, I get the chance to work with a younger crowd and nothing makes me happier than to see them mature and grow into wonderful, successful, happy people. Not having kids of my own, it does give me a hint of what parental pride must be like.